Since his drafting in 2011, the face of the Carolina Panthers has been Cam Newton, a charismatic and hyper-talented quarterback. In early December that changed, when the sports world became aware of allegations of sexual misconduct directed at the team’s owner, Jerry Richardson. Richardson is one of the most powerful figures in the National Football League (NFL), an enormously wealthy man who holds as much influence as more well-known owners like Jerry Jones and Robert Kraft in the decision-making process of the NFL. As the Time’s Up and #MeToo movements’ momentum has extended to figures in sports, Richardson’s fall is indicative of the overall power of such a movement, and the universality of its message. Jerry Richardson has been the owner of the Carolina Panthers since being awarded the team as an expansion franchise in 1993. He is the first owner since the famed George Halas to have also played in the NFL. For the majority of Richardson’s tenure as owner, there has been nothing but praise for him, yet in recent weeks there has been a deluge of information about the real Richardson. This is because in complaints in the past have been met by large settlements from the Panthers. Sports Illustrated has reported that at least four female staffers have received settlements of this nature. With first an internal investigation into his actions and now an investigation by the NFL, the truth has come to light. Richardson’s actions may be defended by some as having been in jest, or unintentional, but they constitute the type of casual sexual harassment that must be eradicated from society: slipping female employees money so he could get a massage, commenting on their figures, and inviting them out for dinner. Richardson’s initial moves were followed by even more dubious ones. Former employees say Richardson would invite them to Panthers games in the owner’s box, and the staffer that led them there would leave, allowing Richardson to give the women back rubs, ask for foot massages, or ask them personal sexual questions. Others say that he would ask to buckle their seatbelts and, in the act of doing so, brush his hands over their breasts. The demeanor he curated in public and in the workplace, excluding his interactions with these women, stands in stark contrast to the persona which has emerged in recent days. As the allegations against Hollywood stars and media personalities bring natiowide attention to workplace sexual harassment, Richardson comes from a much different side of popular culture, where a male-dominated world pays much less attention to this sort of behaviour. The Carolina Panthers have been a model of likeability since their inauguration. In the early days of the franchise, with bright blue jerseys and a unique, snarling logo, the team did not meet much success, curating an underdog image only recently dispelled. In 2004, with the charming Jake Delhomme, speedy Steve Smith, and dominant Julius Peppers, the Panthers made the Super Bowl for the first time, only to fall to the New England Patriots. The franchise became relevant again with the drafting of Cam Newton in 2011, right after releasing the former franchise icon Delhomme, who was at the end of his career. Newton, a Heisman winner at Auburn, is a fan-favourite with his winning smile, risky play, and great dynamic with the fans. He brought them to the Super Bowl in 2015, only to lose to Peyton Manning, his opposite in many ways. Within this context of success, it was practice that any sort of disorienting information regarding the owner of the franchise would be swept under the rug. The franchise was becoming complicit in Richardson’s actions. However, under pressure from the league, Richardson will now sell the franchise at the end of the season, after being outed for the acts he has concealed for so long. Soon after the announcement that Richardson would sell the franchise, rapper Sean Combs, known by his stage name P. Diddy, posted on Instagram that he was interested in buying the team. Soon after, basketball player Steph Curry and former NFL quarterback and activist Colin Kaepernick also expressed interest. 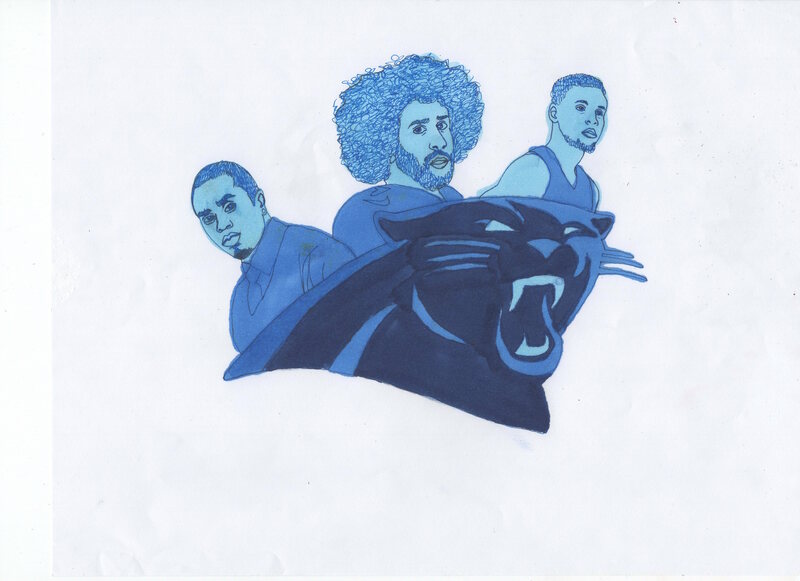 Should Diddy, Curry, and Kaepernick buy the Panthers, they would become the first Black owners in the NFL. According to Forbes, the estimated valuation of the Carolina Panthers is 2.3 billion USD. Diddy has an estimated net worth of around 820 million, also per Forbes. It is therefore unlikely that Combs, Kaepernick, and Curry, while all extraordinarily wealthy, possess the level of wealth required to purchase an NFL team. When people like Magic Johnson or Derek Jeter are involved in ownership, it is because they lead the ownership groups to make the sale more palatable to fans, not because they have nearly enough money. While it would be nice to see the first Black owner in the 70 per cent Black NFL, it is hard to imagine that owner being Sean Combs. The situation concerning Jerry Richardson is both inspiring and saddening. It indicates that the scope of the #MeToo movement applies to all echelons of society. However, it also demonstrates the capacity of a large organization, such as the Panthers, to ignore confrontational information through payments and promotions. This is not the most famous person to be brought low by this movement, but it is the wealthiest. His selling of the Carolina Panthers indicates the strength of the movements, as he is finally being punished for his actions. Unfortunately, he is unlikely to face more punishment than his selling the team — a sale which should earn him 2.3 billion USD. While it is good to see that harassment is no longer tolerated in sports the way it has been in the past, Jerry Richardson, like many men before him, will not meet the punishment his actions deserve.